This is not a late April Fool's joke. This is real. Fernando Alonso will skip this year's Monaco Grand Prix so that he can drive in the Indy 500. Alonso and McLaren made the announcement today. At Indy, Alonso will drive what will be branded a McLaren-Honda-Andretti car. In the IndyCar series, all the teams use identical chassis made by Dallara, the DW12. Honda, one of two engine suppliers for IndyCar, provides engines (albeit, very different engines) to both the Andretti IndyCar team and the McLaren Formula One team. Andretti Autorsports founder and CEO, Michael Andretti was a teammate of Ayrton Senna at McLaren in Formula One for most of the 1993 season. There are a lot of synergies happening with this one-off IndyCar race for Alonso. In addition to his two previous wins at Monaco, Fernando Alonso has long said it was his goal to not only race at, but win, the 24 Hours of Le Mans and the Indy 500. Winning all three is the Triple Crown of motorsport; Graham Hill having been the only driver to accomplish it. With the current state of affairs at McLaren-Honda in Formula One, this is the perfect time for Alonso to try his luck in IndyCar. 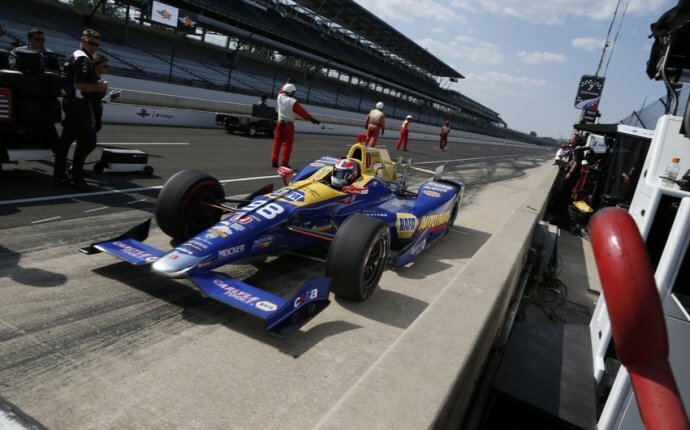 Aside from the Formula One races that Alonso ran at the Indianapolis Motor Speedway, which used the infield track and about half the oval, he has never driven a full super speedway, let alone an IndyCar. Alonso will be flying to Indianapolis right after the Spanish Grand Prix. He'll begin he IndyCar training on May 15th, just 14 days before the Indy 500. How hard can it be? Very, actually. - Who Won Indy 500 Today?